NERD ALERT: As posts on this site go, this one is in the uber-nerd category. My apologies. The short answer to this question is that we stopped reading Aquinas. The long answer is that the church in North America struggles with the tension between being in the world and not of it because we don’t know what to do with Immanuel Kant. His Critique of Pure Reason severed the relationship between the worlds of the physical and the metaphysical. Before Kant, theologians and philosophers wrestled with the relationship between ideas and matter. For Plato ideas were supreme and matter was illusory. For Aristotle, nature was the primary location of knowledge and truth. In other words, Plato believed universals to be located in the world of ideas (Forms). 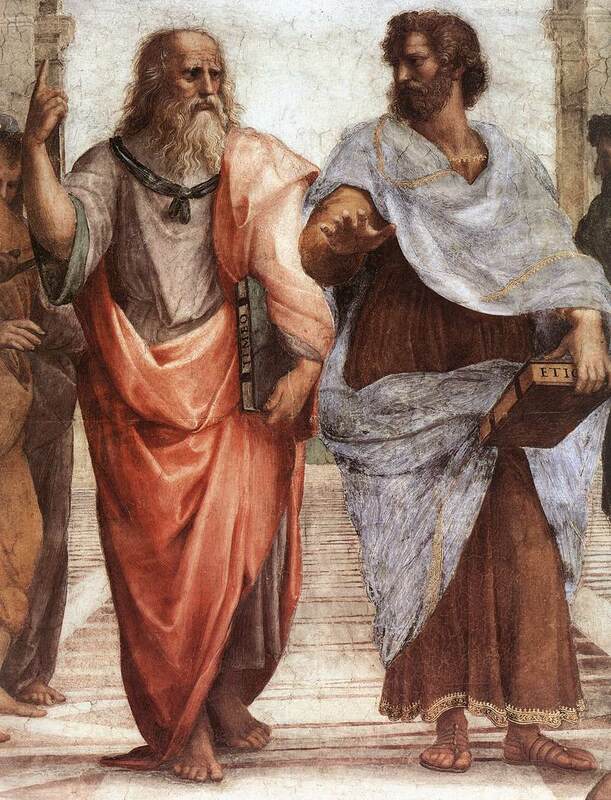 Aristotle believed that universals only exist in their instances. Kant’s work argued that reason overstepped its boundaries. The metaphysical, says Kant, is off limits. Don’t go there. Aquinas (before Kant was born) objects. The world of metaphysics is real, and we can have true knowledge of it. We can have true knowledge because the source is God himself, and he has given us two distinct avenues of knowledge: nature and special revelation. Ultimate reality is defined as God, but Aquinas doesn’t side with Plato. External reality, as we experience it, is real, but it is fallen. Therefore Aristotle isn’t right either. The answer, therefore, is to avoid any extreme view of the relationship between “being in the world but not of it”. We reject Plato’s idea that the external world and it’s products of culture lead us away from truth and is to be escaped. We reject Aristotle’s idea that products of matter/culture are the containers of universal ideas. We also reject Kant’s impenetrable wall between knowledge about the physical and the metaphysical. We don’t reject the the physical world or culture or their imperatives. We don’t completely adapt to the fallen world or culture and accept their fallen imperatives. We see the world as something created with meaning and charged with purpose. Culture, though fallen, is a good thing to be engaged in and created, and it’s highest use is when it prepares and points a society towards the ultimate creator. There is therefore, as Niebuhr interpreted Aquinas, no real antithesis between the divine law and natural law, between the Creator and creation, between Christ and Culture. One simply prepares the individual for the other. My apologies to those of you who have read Plato, Aristotle, Kant, and Aquinas. I tried my best to digest them without being sloppy for this discussion board.